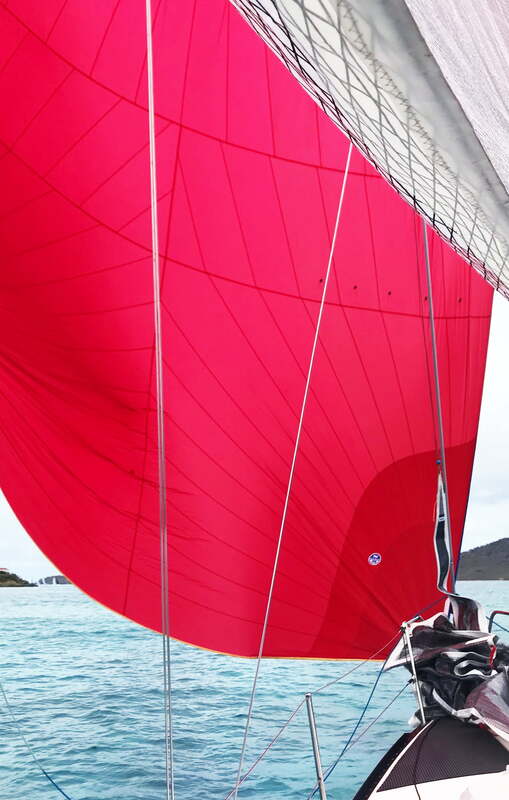 Learning to sail has been on my Life List, which also included ‘Number 80 – Take part in a yacht race’. When the chance came up to help crew my friends’ boat in the STIR regatta it was an opportunity too good to miss. The Virgin Islands were hit hard last year by 2 hurricanes in quick succession (Irma & Maria) & we felt this was our way of showing solidarity. Throughout my time in St Thomas, I was blown away by the generosity & spirit of the people there & am very pleased that we were able to support them. 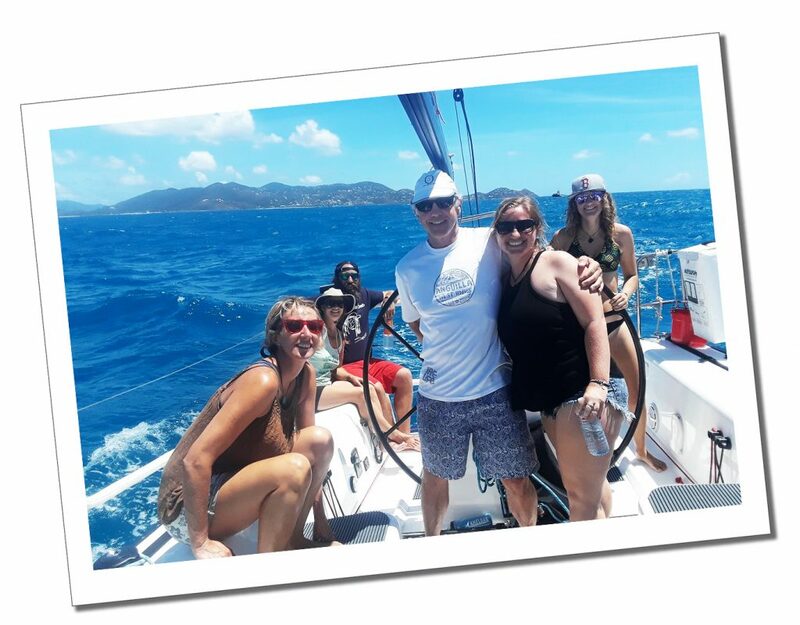 To learn more about my rollercoaster introduction to sailing read my post How To Throw Yourself In The Deep End While Learning To Sail & you can also view my Video Diary of the start of my journey in Sailing from Florida to The Bahamas. 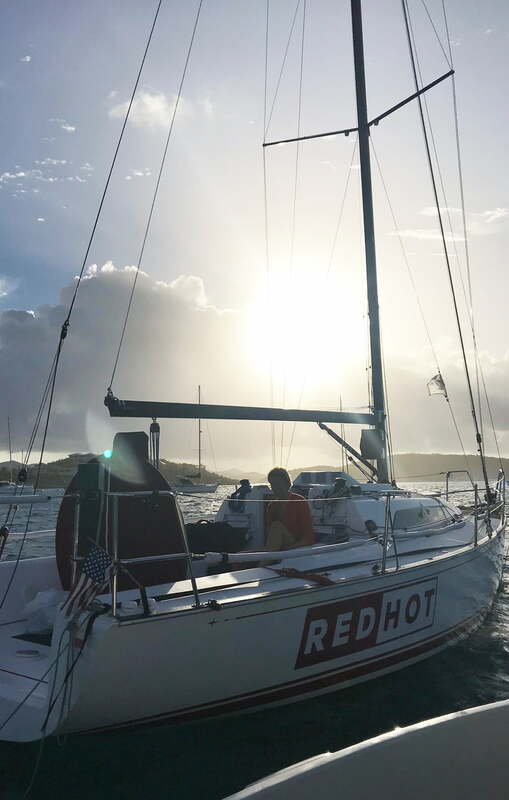 Our vessel was ‘Red Hot’ – a much-admired 33’ racing yacht (Tartan 101 for those in the know) which had a turbulent ride to get to this point via Chicago, Florida, The Bahamas, Turks & Caicos, Dominican Republic & Puerto Rico. Our team was a game of 2 halves, those who sail, & those who don’t/are learning & a collaboration of 8 people who each knew 1 or 2 members. 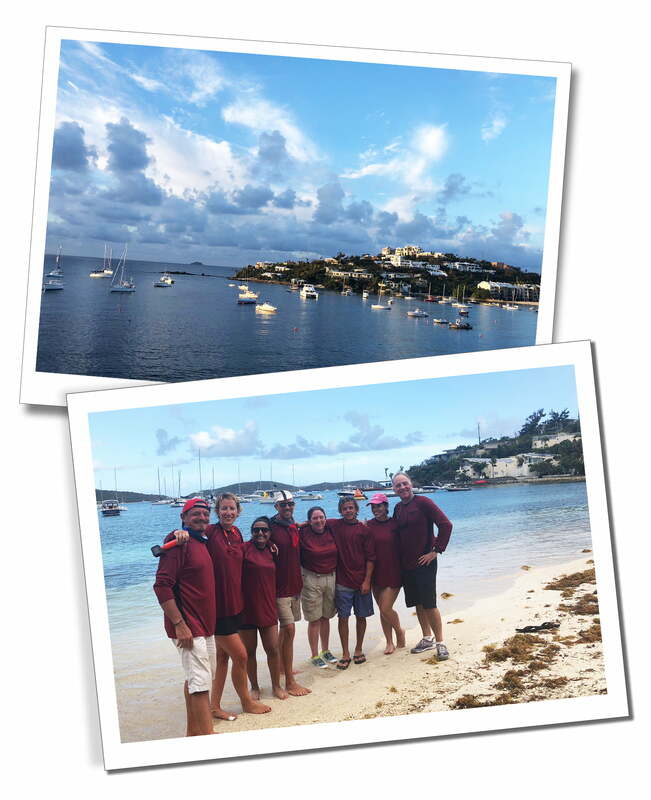 We consisted of Emanuele – the owner, Joe & Laura his designated skippers who all sail together in Chicago, Nico who had helped sail ‘Red Hot’ to STIR & has been learning to race in Chicago, Tommy – an experienced sailor who we picked up in USVI, Me – pretty new to everything & Hananeh & Neha who knew even less than me! I’ll also start with a caveat that I’m still very new to sailing & getting used to all the terms is like learning a new language. I’m going to try & explain in terms non-sailors will understand & apologise if I use the wrong words etc. to those who know what they’re talking about! 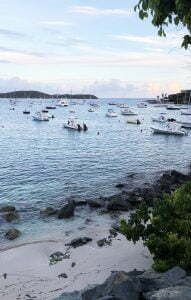 I arrived at St Thomas over a week before the Regatta to be met by Nico, who I had sailed within ‘Red Hot’ from Florida to the Bahamas. He had been there for a week himself already & it was great to have an introduction to the area & the people in the Yacht Club. Getting there early had a number of positives as there were a lot of jobs to do & issues along the way, which meant we were asking for favours from Day 1. Making friends across the club was a huge advantage. 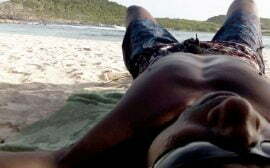 With my limited sailing experience, I was trying to get lessons beforehand but had been unsuccessful. Once I got to the club it was a different story. By speaking to Dave, the Sailing School instructor, we were earmarked as people who could help out when others were short on crew. On Saturday afternoon he asked me if Nico & I would like to go racing, the scariest but obvious answer to me was “Yes!”. Within 15 minutes we were out on the water, meeting our skipper Chuck, our vessel ‘Desperado’ & fellow crew member Kevin & we spent the afternoon taking part in 6 short buoy races on a small IC24 racer. 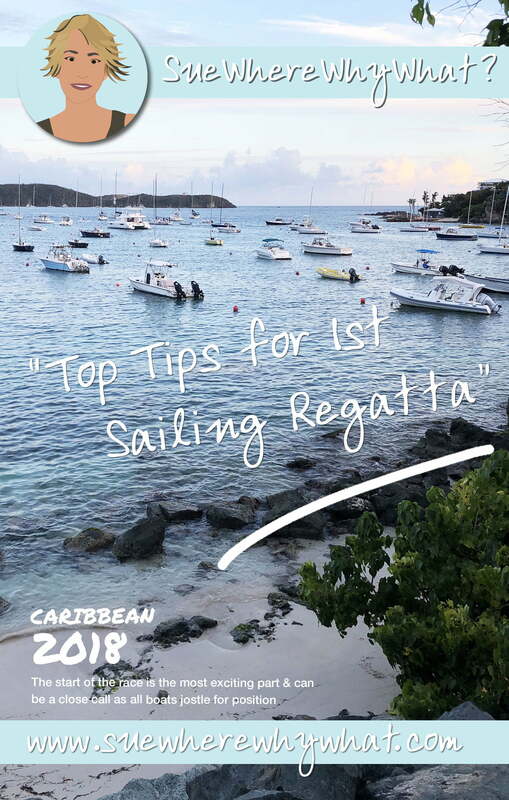 Following this I got another chance to go out in a similar yacht to check out the potential courses, again gaining experience of just being on the water & the importance of weight placement. 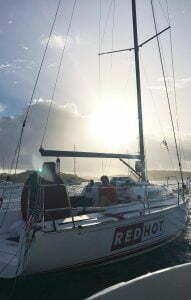 The final opportunity came the night before the rest of our crew arrived when we heard that a guy called Steve was looking for crew for the Round the Rocks Race (around the next-door island of St John) the next day on a 70’ Santa Cruz vessel called ‘Hotel California’. Again, we volunteered & had an amazing experience sailing the biggest yacht I had ever been on. Various things conspired against us throughout the day, especially when the wind died & what I had been told was a 2-3-hour race turned into a 5-hour excursion. It was a great experience for me though, getting involved in tacking & then taking the tiller for 1 ½ hours (despite the wind having dropped) and it was good to be trusted with the role. As we headed for shore after a fun day out, Steve gave me the ultimate compliment “For someone so new you’re a useful crew member!”. 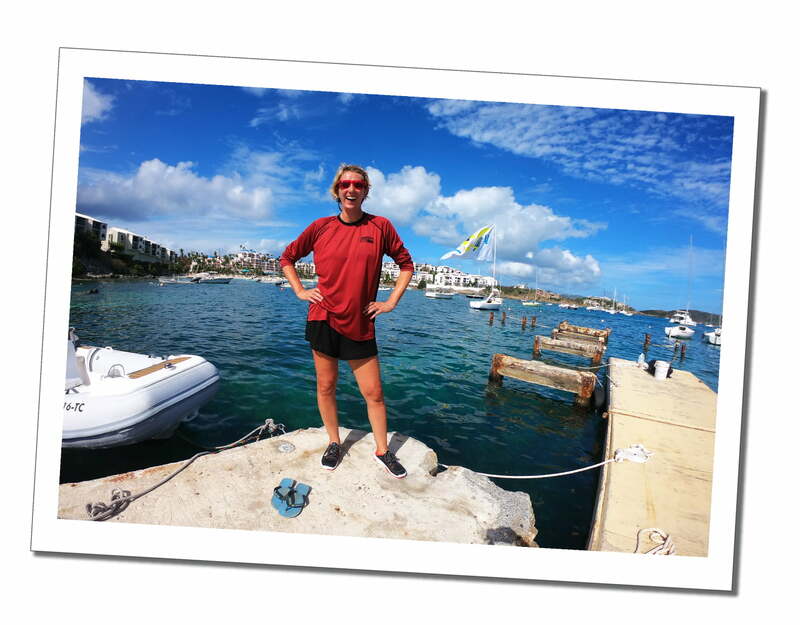 I felt my sailing career blossoming at my feet! So, by the time the rest of the crew arrived, between Nico & I we knew most of the other teams, had sailed on several of the competing boats & also knew everyone we needed to get anything else we wanted doing at the club. Arriving early was a distinct advantage & I truly felt part of the Regatta community. Our main task was to get the boat changed from its cruising & delivery mode to be ready for the race, involving a number of different jobs, all of which we had never done before. The first was to change the sails. Second, we had to empty the boat to reduce the weight, which involved about 15 trips backwards & forwards with the dinghy to lift ever increasing weights off the boat. It was hard work in the searing heat as we followed instructions to leave “not even a screwdriver!” on the boat. The irony of this will become clear as you read on, but especially when Joe & Laura arrived & one of the first things we needed was a toolbox & screwdriver to put the racing sails up! Then as we started to load the rest of the crew on with bottles of water (we had been told to empty the fresh water tank), food for lunches & beers it felt like all our efforts had been in vain. To me though, getting prepared had been an awesome responsibility which we had delivered on, & now it was good to be able to hand over the reins for someone else to take charge. It turned out that we didn’t have one which was valid for racing in the Caribbean, so we needed to get measured or we wouldn’t be able to take part. 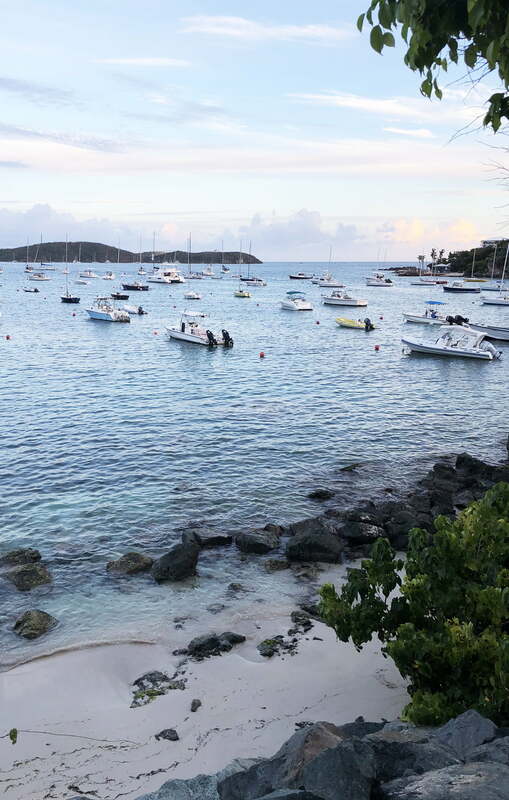 Thankfully Bill was very generous with his time, helping us to get an appointment for 2 days’ time to be measured in Sapphire Bay Marina, a 30-minute sail around the island. This gave us the challenge of how to get the boat there when neither of us was confident to move & dock it. Nico did a great job of gathering a crew of about 8 people to help with an “all-hands-on-deck, more the merrier” mentality & we called on our friend Kevin who was competent to take the helm for us. Our party boat arrived at the dock for our 12.30 appointment, which was then delayed until 3pm when we were out in the middle of the park displaying sails on the lawn to measure all the different dimensions. 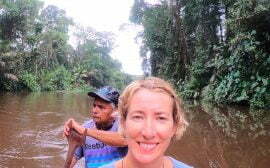 As the afternoon wore on, our posse started to dwindle as people had other commitments & Nico & I began to panic about getting the boat back to the club when neither of us had experience mooring & it was starting to get dark. Eventually Dave the measurer said he had finished everything he could do there but would still have to come back the following day to finish up. Thankfully we managed to (just) get onto an easier, outer mooring ball & congratulated ourselves on completing yet another challenging mission successfully. 4. If you can’t arrive early, at least get to the boat before the race starts! While all the other competitors had been out practising for days (if not already raced a few regattas together), our crew was still incomplete on the morning of the race. 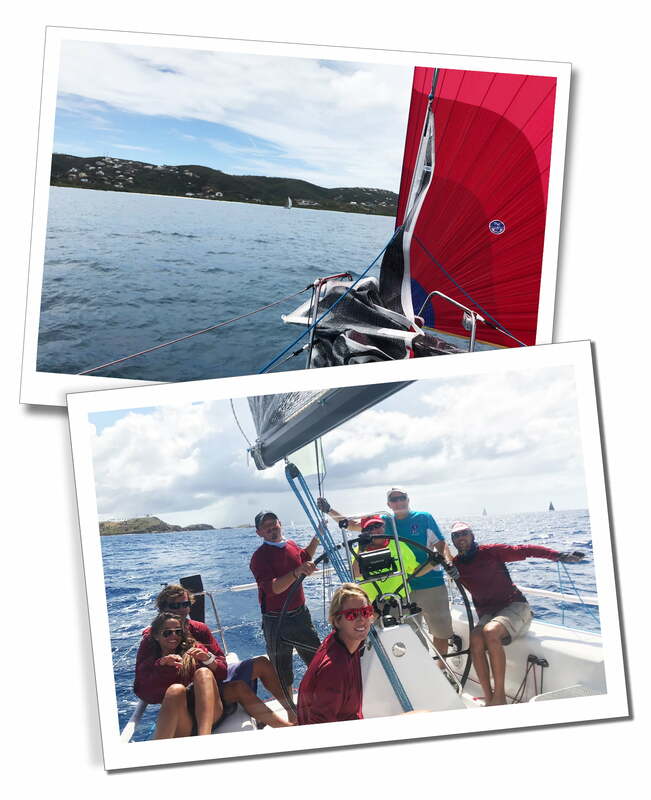 It turned out Emanuele, our boat owner, had work commitments which meant he flew into St Thomas at 9.30am & we started racing at 11! I had tried my best to help by prearranging taxis & a boat to get him to ‘Red Hot’ as soon as he arrived, but unfortunately Island Life & false promises had conspired against us. As we put the racing sails on for the first time that morning (with a very useful screwdriver to hand I might add! ), we all had our fingers crossed that Emanuele would make it but with an expectation that we would be sailing at least the first race without him. There was a huge amount of nerves & anticipation (at least from me anyway) as we exited the harbour & headed out to have a little practice before the racing started. As the other boats around us were going over their final drills, we had an issue with the first hoist of our jib. It had to come back down & Emanuele had his first job to do to (while at the same time noticing that the batons had been put up incorrectly!) & remove one of the elements needed for cruising but not racing (with the aforementioned screwdriver being essential once again!). It was fraught, to say the least. 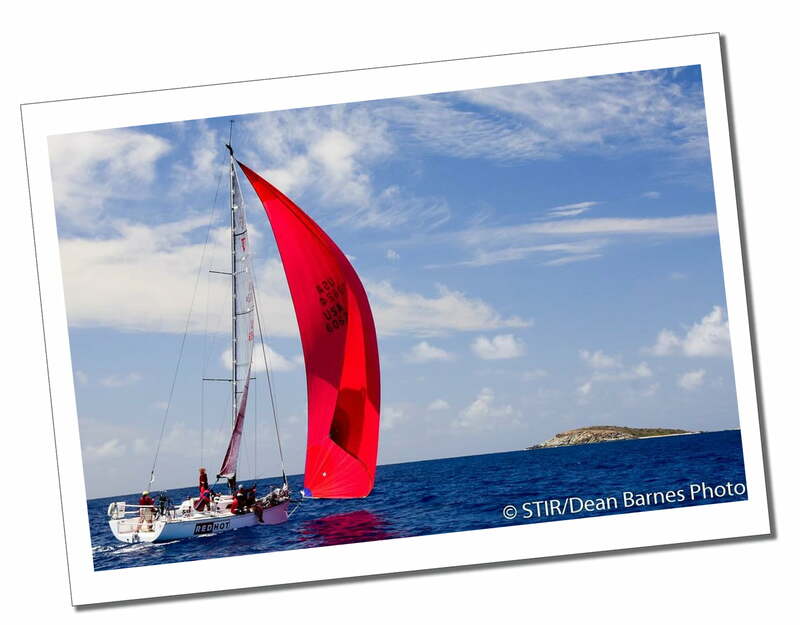 With 5 minutes to go before we crossed the start line, our sails were finally in place & we were ready. There were 5 boats in total racing in our class. Something told me we may not be in contention for first place! Joe was at the helm for the first race & made the decision that we stay calm & clear of the others as we crossed the line, rather than frantically try & get into contention. The start of the race is the most exciting part which I had learned from my previous experience & can be a close call as all boats jostle for position, trying to get the prime spot at the precise time you need it & force others into an inferior place. I didn’t understand what was happening, but I definitely got the buzz from it! We passed our first start line kind of calmly & were soon dashing off in 5thplace where we stayed for the remainder of the race. My job was to work with Nico on tacking. Laura coached us on the best way to work together. Basically, I prepared the sheet (line? rope?!) onto the winch & when Nico released the other side I grabbed the line & basically moved as fast as possible across the boat until it was tight enough to stop me (it literally became my lifeline). Then I kept the tension while Nico trimmed the sail (wound it into the best position for maximum speed) until he told me he had it. 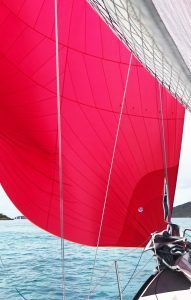 Then we passed the marker & started to head downwind and it was time to raise the spinnaker for the first time (the big, beautiful sail that fills with the wind at the front of the boat, for those who don’t know the terms). It was nerve-wracking as we raised the spinnaker, then had to bring it back down as it was not correct & then raised it again. When it was up, resplendent in bright red, we looked magnificent! Then I took on my next big job – trimming the spinnaker. I positioned myself leaning against the shrouds (solid wires which hold up the mast) to gain stability as I held on tight to the sheet (line? rope? I’m still confused by the new language!). Then I was told that the trick with the spinnaker is to make it flap, just enough to fill with wind. With some expert coaching from Laura & Joe, I started to get the hang of it (with a few fraught moments when it started to flap a bit too much & we nearly lost it as I developed my technique!). I let the sheet out until the end 2 panels flap when it flaps too much I pull in & ask my teammate (Neha) to grind if needed to get it back. We were so far behind in the first race, we only had 10 minutes before the next one started so frantically ate lunch. 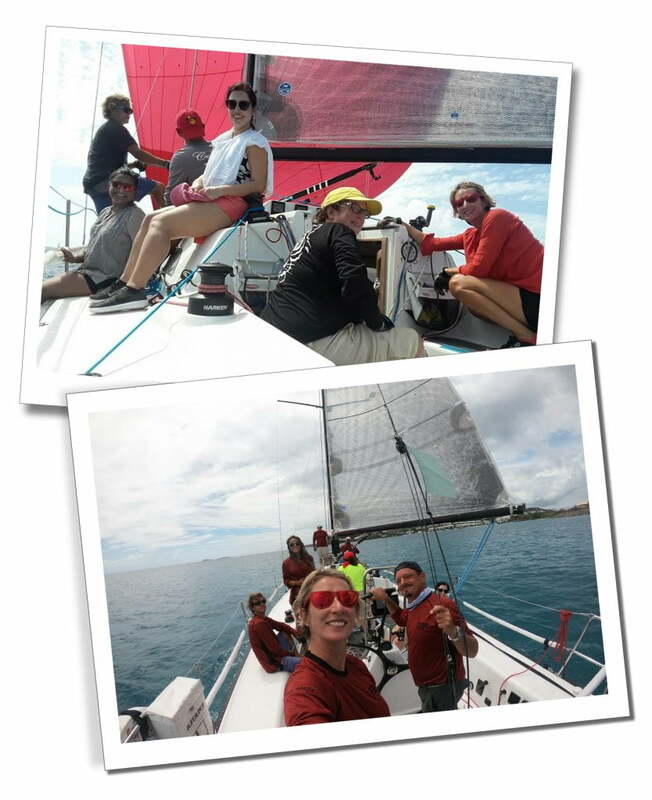 As we perfected our techniques & roles in the second race, we came in 5thagain & my first day of racing in a regatta was complete! 6. Racing is not always fast! By Day 2 we were a much more cohesive team & Laura took over at the helm. 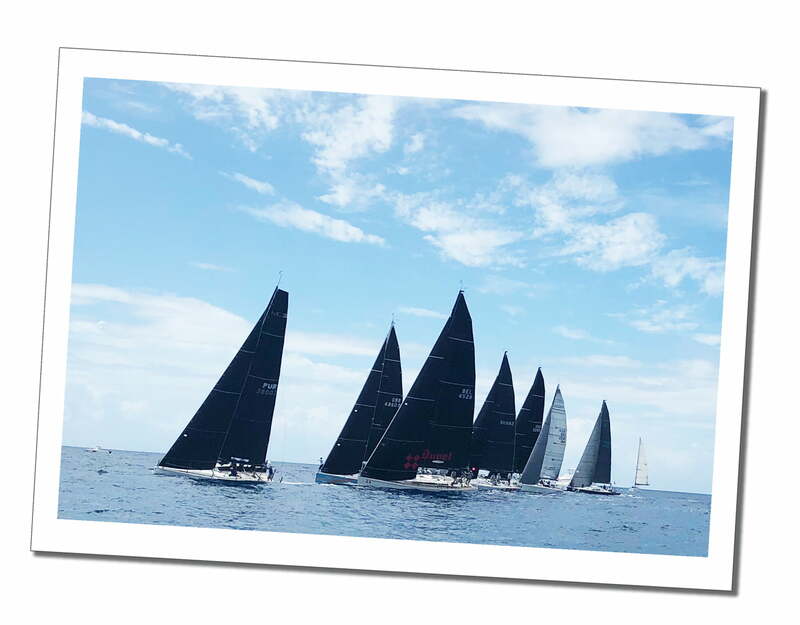 All the races lasted about 1 ½ – 2 hours depending on the wind. With everyone taking their own course too, its often hard to tell who is where in the field (except we had a constantly good vantage point at the back!). As I’ve said, the starts are exciting with everyone jostling for positions, then you all separate & sail your own race but coming back together for the finish can also be exciting (if you’re in contention with anyone else that is). 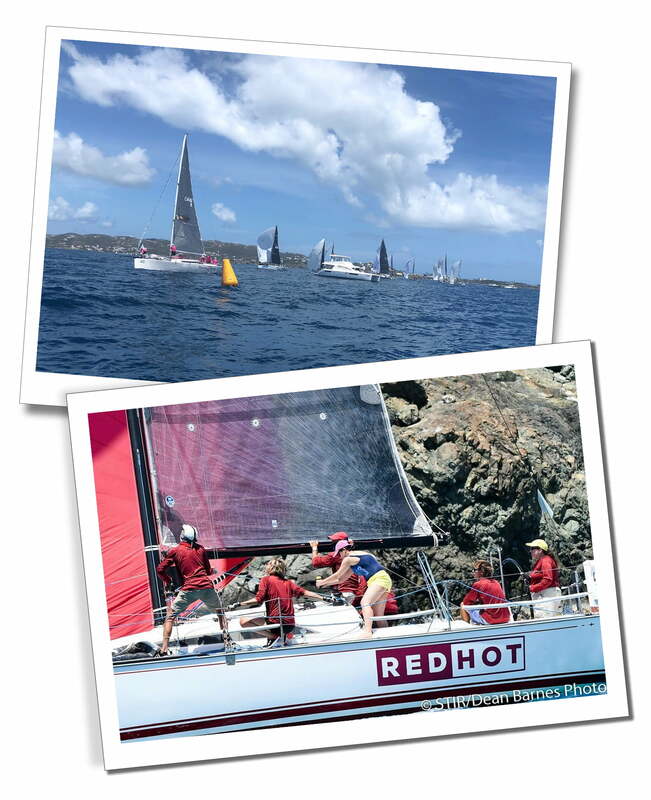 On Day 2 in our first race, we had a couple of tussles at the line which was fun. The morning race we were neck & neck with another boat, ‘Wild Ting’ which looked like we would beat to the line, but they ended up just taking us. He wasn’t in our class, but it was still exciting & we were still in 5thplace! For the afternoon race, as we all headed for the finish line the wind died. We passed ‘Wild Ting’, stopped completely & having not seen the other boats for most of the race suddenly 3 of us were converging, very slowly towards the finish line. ‘Atorrante’ was a boat from Puerto Rico who we had befriended earlier in the week, ‘Blitz’ was a yacht apparently manned by some professional sailors. I didn’t understand what had happened as lots of shouting was going on between our 2 boats. It turned out they thought we did an illegal move, we were sure we were within the rules. Thankfully, they didn’t file an official complaint & I had a chat with the skipper in the bar later. We agreed to buy each other a drink & all was taken in good spirits. I was really starting to enjoy this sailing community! Sailing is an interesting mix of doing nothing for ages & then when you do do something, having to do it really quickly & with a lot of shouting. Don’t expect pleases & thank you’s. You’re told what to do & expected to do it. Timing is everything – when a decision is made, most jobs need to be quick. But if you do things too soon, you can literally be dead in the water. 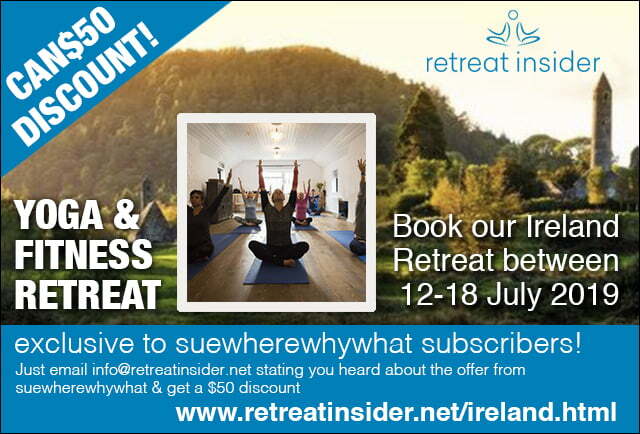 Do what you’re told, to the best of your ability & enjoy! What has been your experience of race sailing? Which regattas are your favourites? What advice would you give to a new sailor trying to get on a crew? Where are your favourite sailing destinations?